The 0013 3-Speed pump is specifically designed for the wide range of high flow / high head requirements of today’s hydronic heating systems. 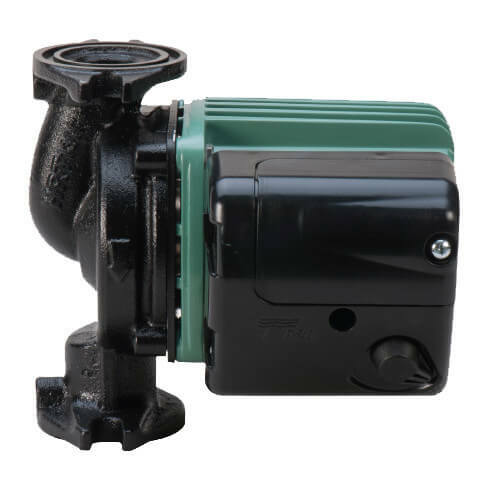 Its’ 3-Speed switching capability provides fine tuning control to meet system design conditions. The 0013 3-Speed is a direct replacement for the Grundfos UPS 26-99 3-Speed. The 0013 delivers the highest starting torque in its class and includes a removable, uni-body Integral Flow Check (IFC) that prevents gravity flow, reduces installation costs and improves pump performance. The Stainless Steel 0013 should be used for open, potable water applications. From the powerful high performance motor to the rugged 3-speed switch, everything about the 0013-IFC 3-Speed says “heavy duty”. With the highest starting torque in its class, this circulator delivers the perfect high flow / high head performance and fine tuning capabilities to satisfy the most demanding hydronics system installer. Also available in Stainless Steel for potable water systems. The 3-speed circulator features a removable, uni-body Integral Flow Check (IFC) that maximizes flow and prevents gravity flow - even in the tallest buildings. Wiring is a snap thanks to a new extra roomy, easy access capacitor box.